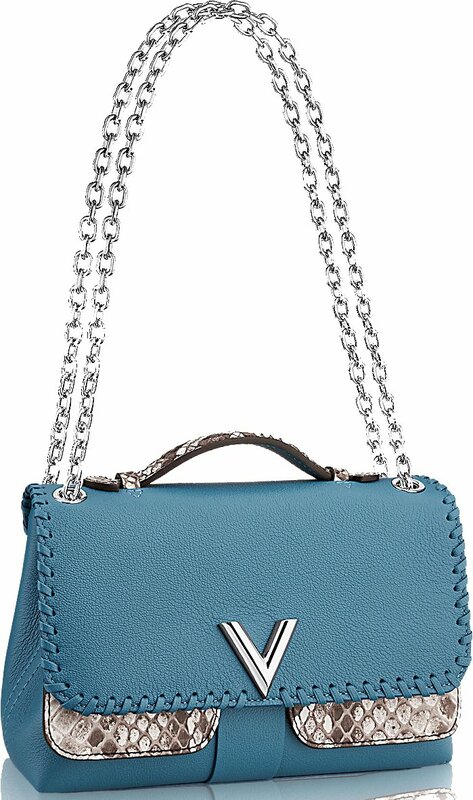 If Louis Vuitton bags are your cup of tea, then you’ll be pleasantly surprised that it has recently released a new bag. 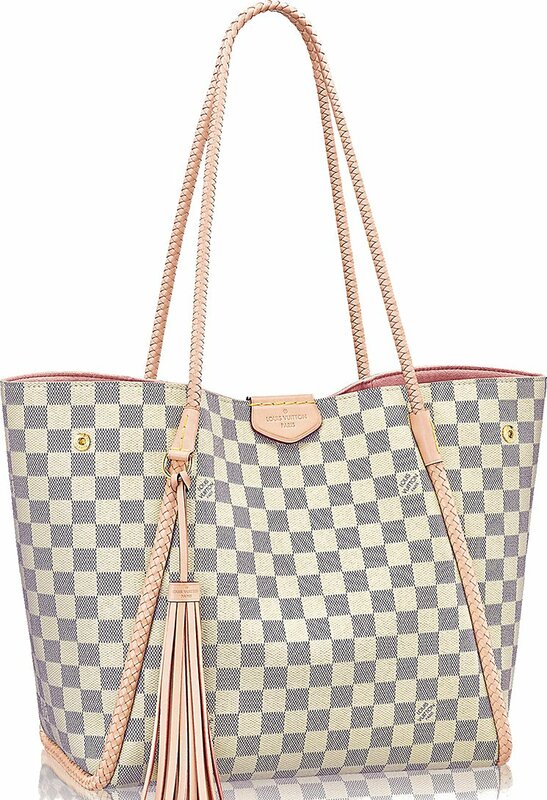 Without further ado, here is the Louis Vuitton Jersey Tote Bag which screams fashionable uniqueness in all its angles. 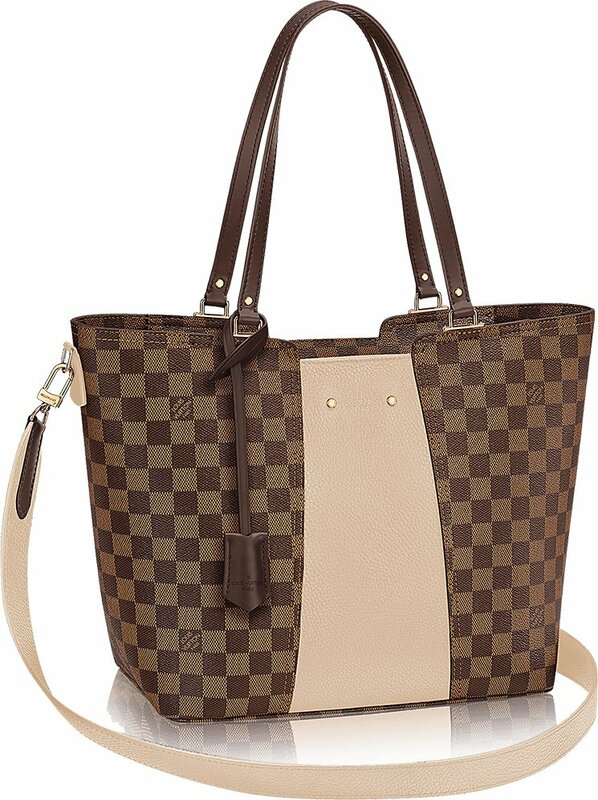 Dubbed to be a perfect daily go-to companion for women who are always on the go, this Jersey shoulder tote in Damier Ebene canvas and supple Taurillon leather is nothing short of casual chic. Functional, practical, and distinctively elegant, this tote bag is sure to become your newest style staple. 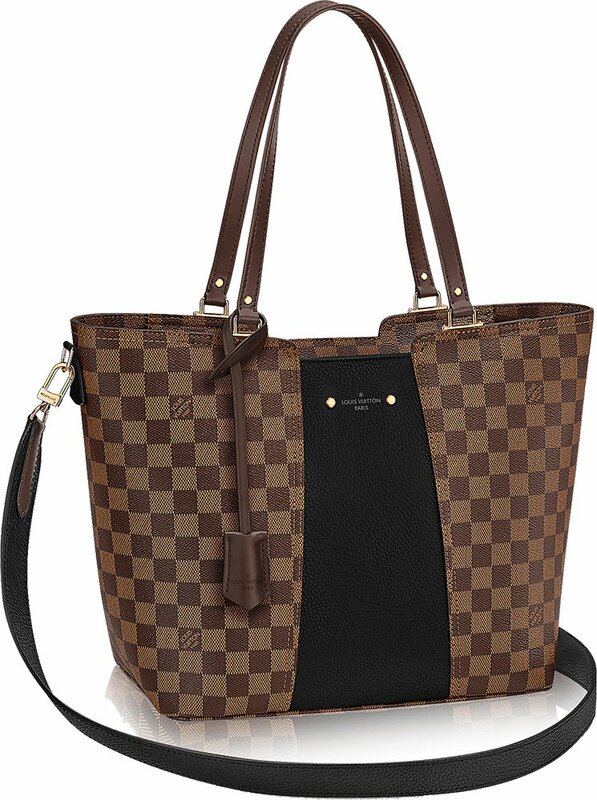 What we love most about this bag would be the new design which it is sporting. That is, the colored part of the bag in the center which is made from leather. 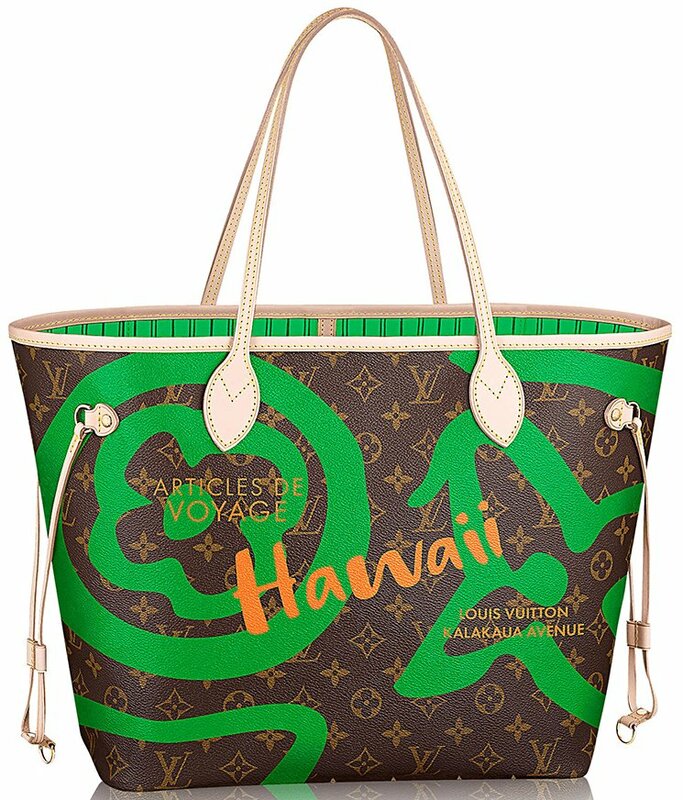 The mix of Canvas print with leather is something we’ve been seeing more often at Louis Vuitton these days. It’s a new trend that blends the iconic plant-made print together with leather luxury. And it’s also eye-catching, because the leather is smooth and painted in solid bright color, which is very notable between the canvas print. The side is attached to a leather as well, it’s the location where you connect the shoulder strap. Now to further appreciate its beauty and uniqueness, it’s best if we take a look at it with queer eyes. 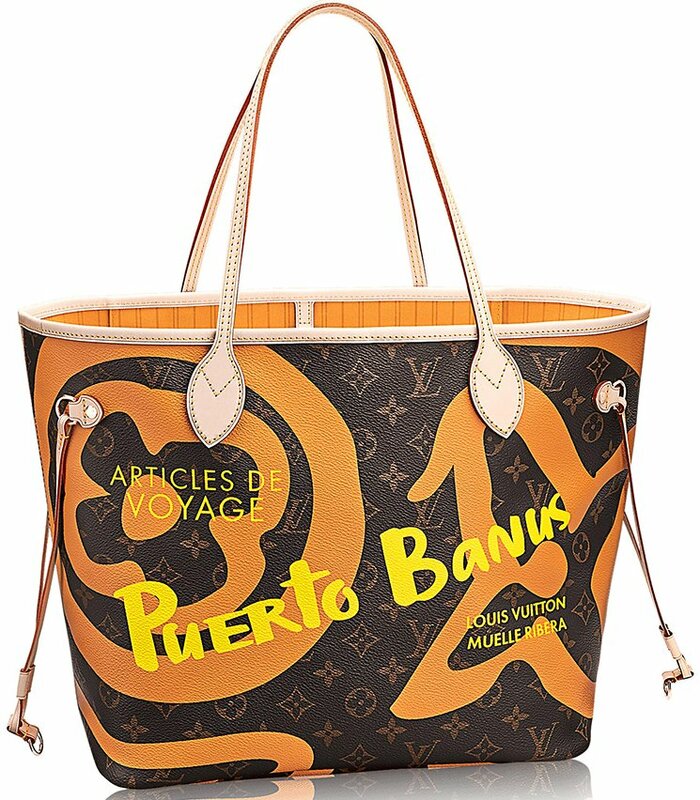 Made from Ebene coated canvas and Taurillon leather exterior, this tote bag is perfectly complemented by shiny gold colored metallic pieces. Both functional and practical, it also features 2 flat shoulder handles for easy hand carrying and a removable shoulder strap for effortless shoulder carrying. 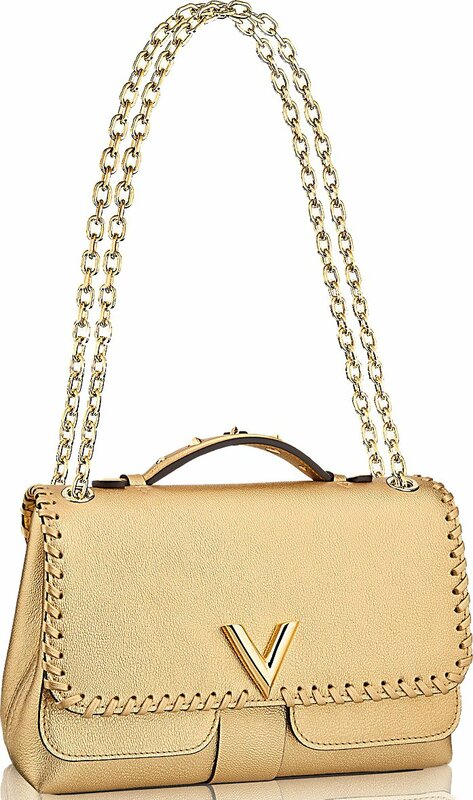 It also features a key bell and golden metallic rivets on handles and on both sides of the LV signature for an added touch of chic. Aside from this, it also has a lot to offer with its interior features! It has a double smartphone pocket and an interior flat pocket to keep your things organized. 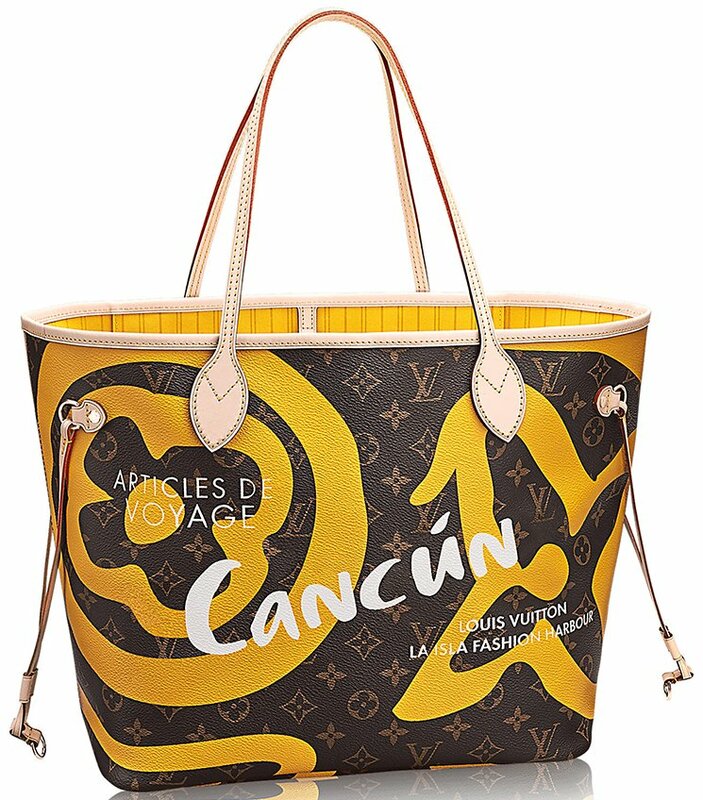 Measuring 16.1’ x 11’ x 5.1’ inches and is priced $2260 USD, €1640 euro, £1530 GBP, $2790 CAD, $2920 AUD, ¥266760 JPY via Louis Vuitton boutiques. 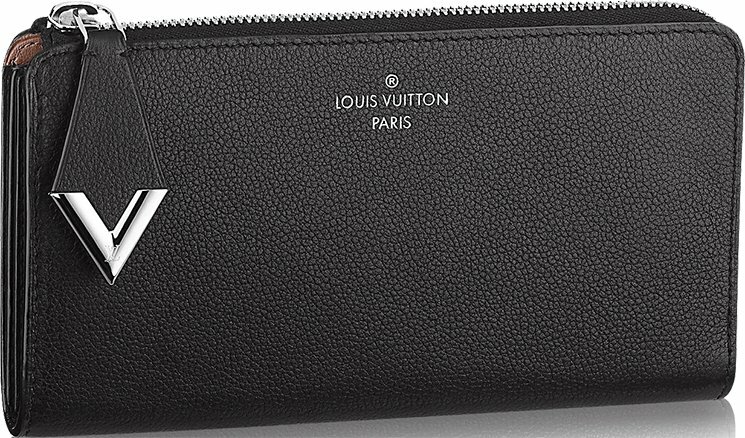 Louis Vuitton is casually taking things in stride but when it comes to creating wallets, it looks like this French label is taking the competition too seriously. 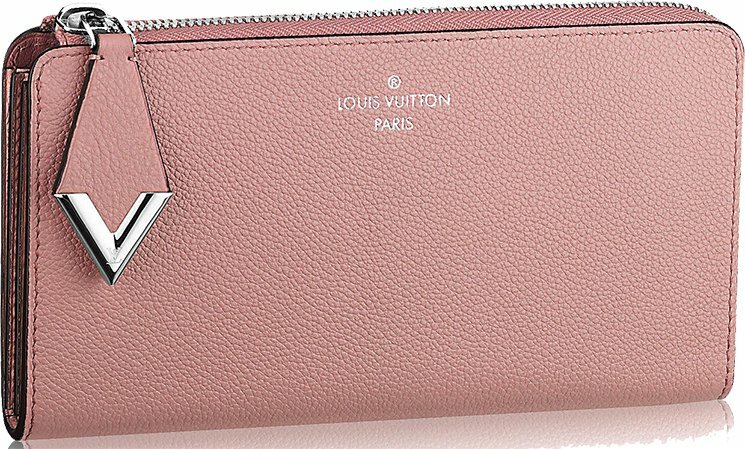 Take a look at this Louis Vuitton Comete Wallet and you’ll know what we’re talking about. Plus, you’ll also definitely fall in love with its understated elegance and femininity. Sporting subtle grained Veau Cachemire leather matched with shiny silver brass metallic pieces, this LV Comete Wallet is all about simplicity without sacrificing sophistication. 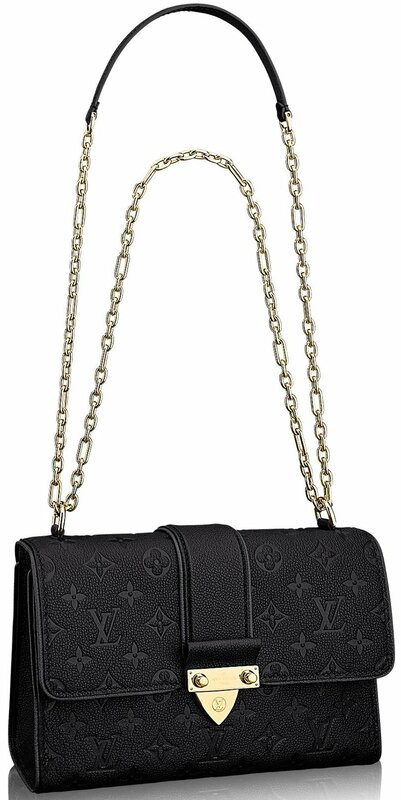 In fact, its main feature would be the metal V accessory, which was inspired by Nicolas Ghesquire’s first collection for Louis Vuitton. 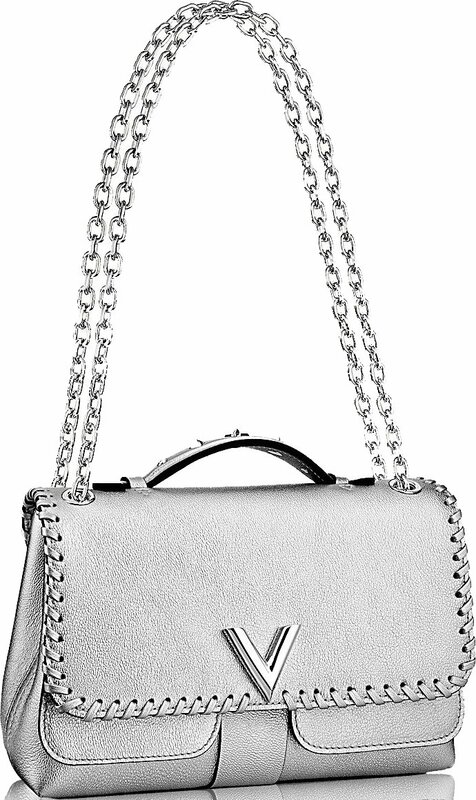 The metal V accessory is placed in the zip pull for an added touch of beauty and embellishment. 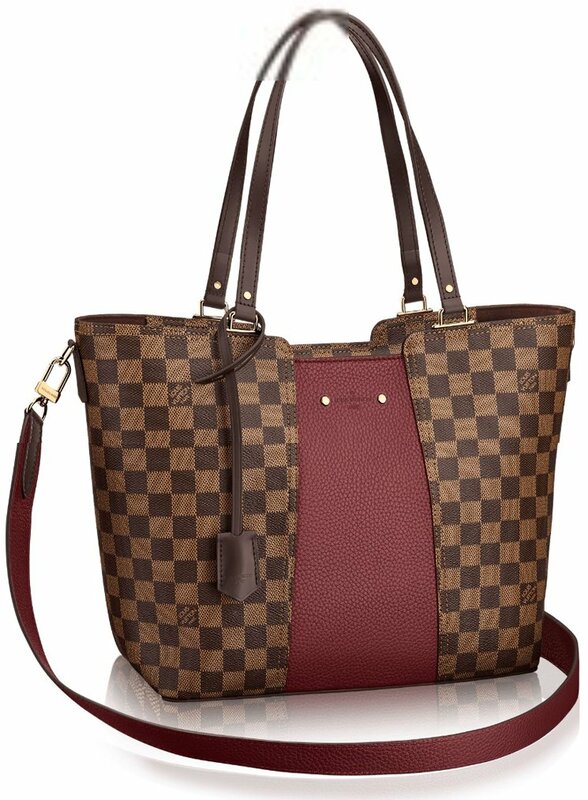 The Louis Vuitton logo on the other hand is subtly embossed in the upper middle for an instantaneous brand recollection. 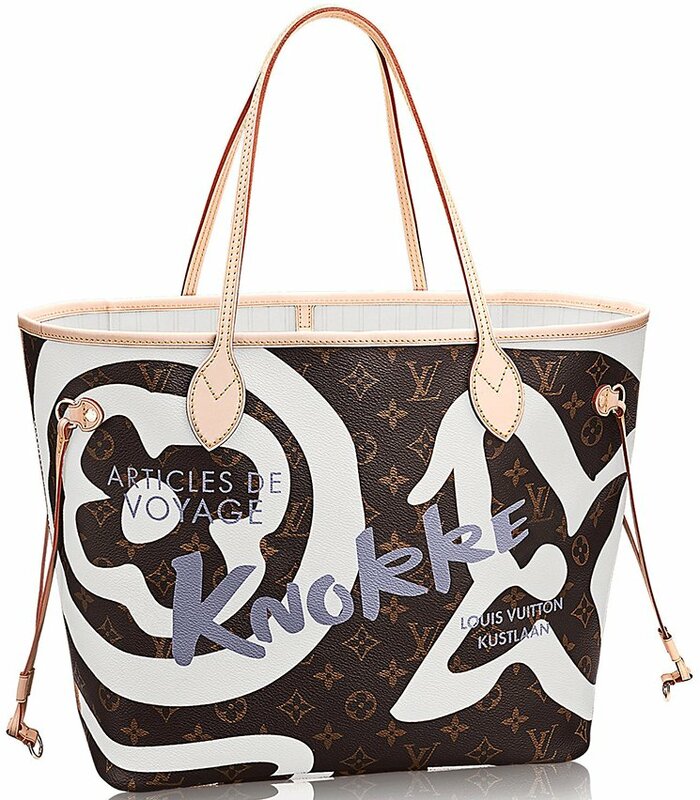 We also love the fact that the zipped closure features an all-around zipper for easy and effortless access and reveals a well-organized interior. Now let’s take a look inside, shall we? This Comete Wallet features 12 credit card slots, 1 zipped coin pocket, 3 large gusseted compartments for banknotes, and 2 inside flat pockets. Woah! 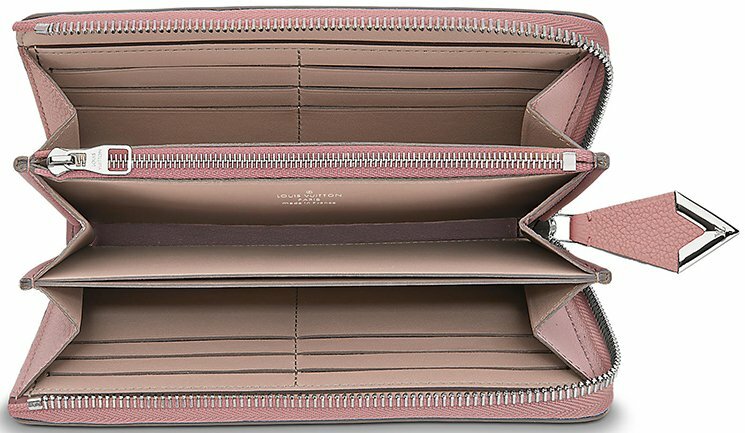 That’s a lot of compartments in one wallet but we’re not complaining! In fact, we are a fan of it. 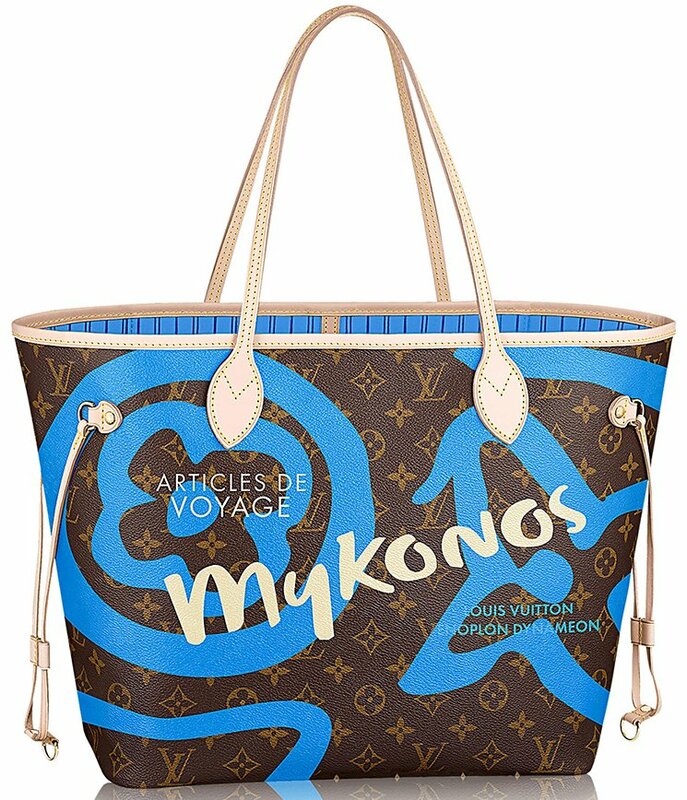 It is priced $1420 USD, €960 euro, £895 GBP, $1640 CAD, $11700 HKD, $1710 AUD, ¥158760 JPY, ¥10800 CNY via Louis Vuitton boutiques.